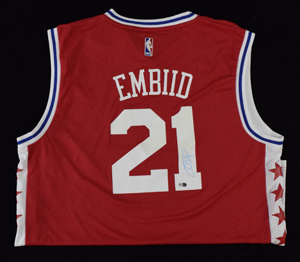 Joel Embiid Signed Red Philadelphia 76ers Adidas Jersey (size XL). Small pen mark to right of signature (see photo). Fanatics authencation hologram is affixed and includes COA from Hunt Auctions.